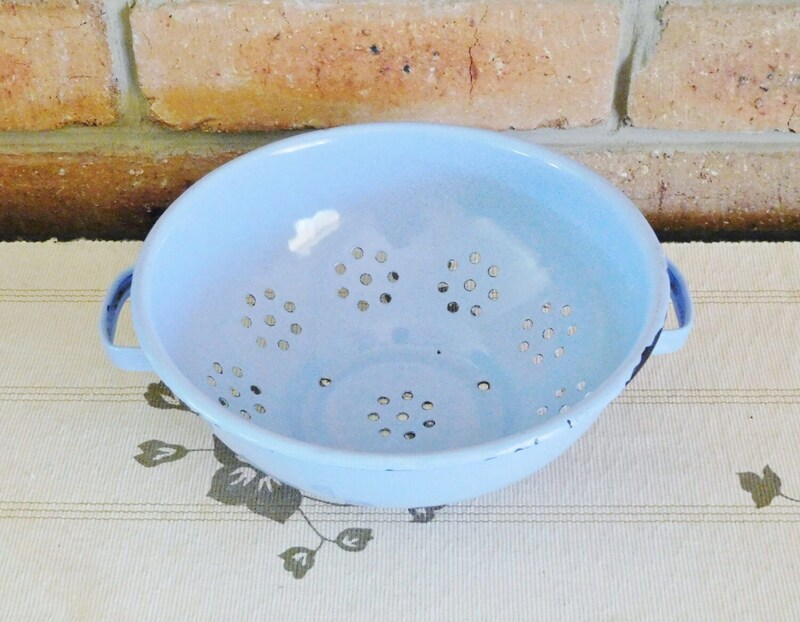 Blue chippy enamelware dual handled colander / strainer, country farmhouse chic just perfect for the retro kitchen – either as a usable item or for decorative purposes. 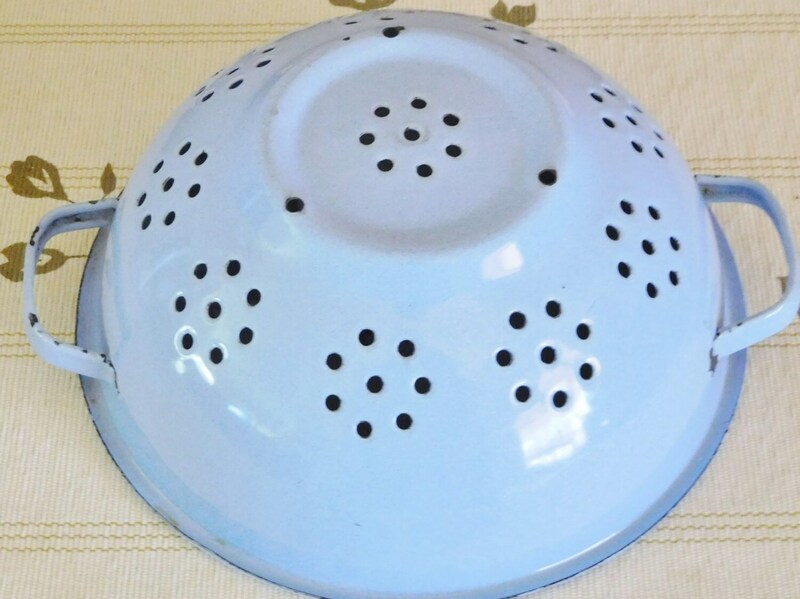 In overall solid condition though showing a few spots where the enamel has worn away. 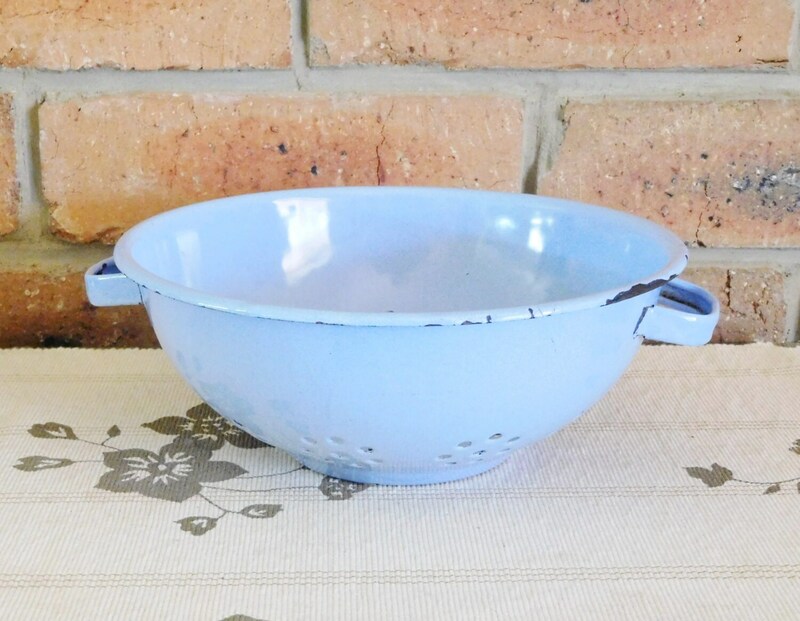 In my opinion this only adds to the wonderful authenticity of this piece – I in fact prefer my enamelware to look this way!